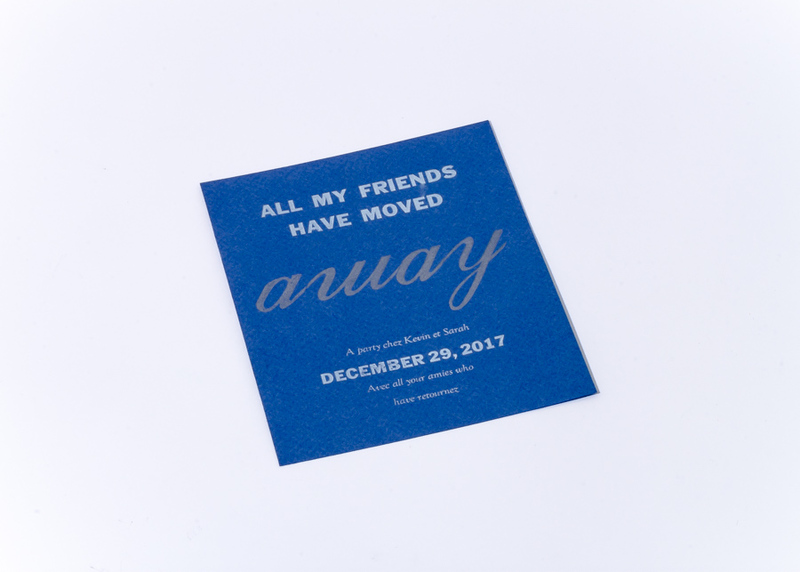 The same specifications as the simple invitations, plus a letterpress printed insert including pertinent information — accommodations, directions, attire, — about your wedding or event. We are happy to work with the soon-to-bes, their families, and event planners to craft perfect wedding invitations and stationery. 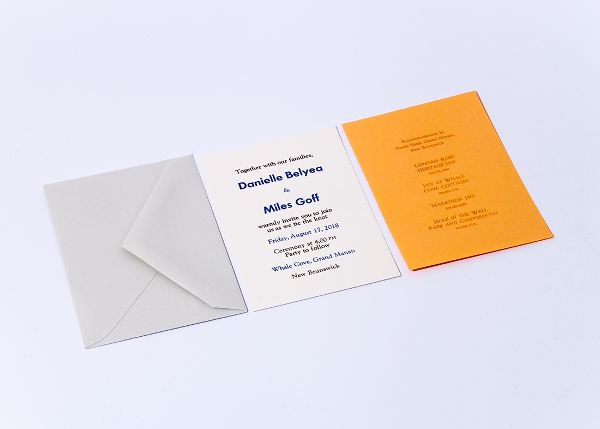 We also print napkins, posters, menus, and ceremonial notes. What kind of package would you like?